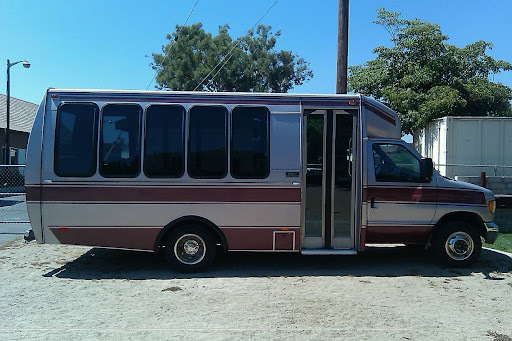 On top of the fact that our church has a new pastor (about whom we are very excited), our Youth Ministry received a bus from some anonymous donors here at the church. It's a 20 passenger and it's going to be a huge blessing... once I finally get licensed for it. So, let's see here, in the past year what's happened? I got married, I lost 67lbs, I went on a cruise, I started the Ordination Process in the United Church of Christ, I got accepted at San Francisco Theological Seminary, Amanda got a new job (part time, on top of her other job) here at the church as Interim Sunday School Director, I moved in with Amanda in our awesome apartment, my brother started working for the U.S. Forest Service (go Jesse! ), we got a new pastor (and his family), we bought a new car, we got a bus for the Youth Ministry, we made some new friends, my friends Danny and Sarah got engaged, my friend Sara got married, etc., etc., etc., and not all in that order. And it's only August! What response makes any sense besides sheer gratitude? !